The 153 Club is for Sahara Desert travellers. 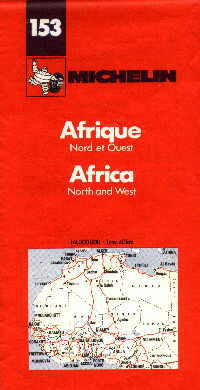 The Club takes its name from the old Michelin 153 map of NW Africa. 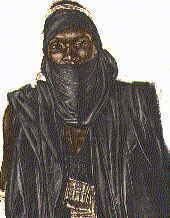 Mahoma, a Songhai of Ansongo, painted by Alexandre Iacovleff during the Citroën Central African Expedition by Haardt & Audouin-Dubreuil 1924/1925. The Club was founded in August 1978 when several like minded travellers got together for a social evening. We publish 2 Bulletins each year with any news and articles provided by members including details of the next upcoming meeting, which we email out, unless members state they would rather have a ‘hard’ copy. We also have three regular meetings a year, plus other impromptu outings, for example to exhibitions with 153 interest. Our aim is to maintain a membership of 153 people and at present we have a few vacancies. The only criterion for Club membership is to have worked or travelled within the confines of the old Michelin map 153 (now sadly 953), principally covering the Sahara and adjoining countries. Subscriptions are currently £10 GBP per annum - payment to ‘The 153 Club’ - Pounds Sterling only please. Alternatively you can pay 10.60 Pounds Sterling by PayPal. You can pay for more than one year at a time, if that suits you better. The year runs from 1st October to 30th September. To apply for membership of The 153 Club, go to the Joining page or email for an Application form.